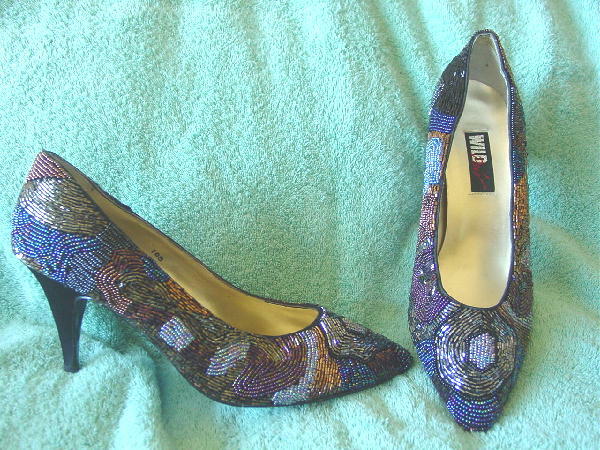 These pointed toe iridescent beaded pumps have light gold lame leather linings and insoles and are by Wild Pair. 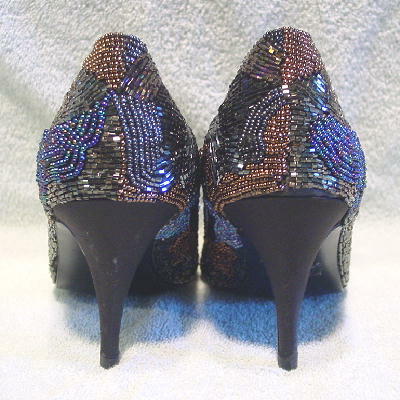 The beadwork is in different design pattern shapes and the heels are in black fabric. The left heel has some small scuff marks. The elongaged and tiny round iridescent beads are in black, light gray, multi-tone medium and light blue, pink, yellow, green, dark blue, copper, magenta-grape, and bronze. 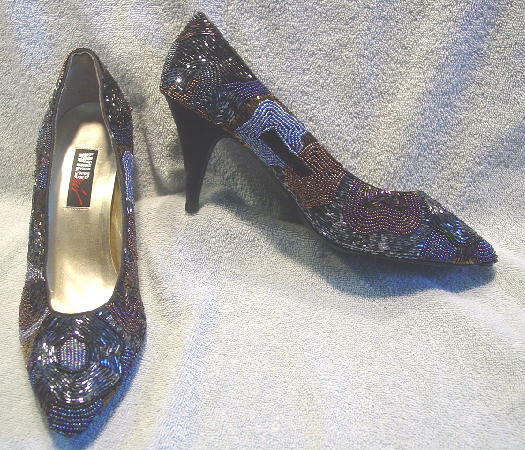 The shoes have some weight to them because of all the beading. They're definitely eyecatching and look better in person. They were worn once in studio, for a magazine photo shoot.